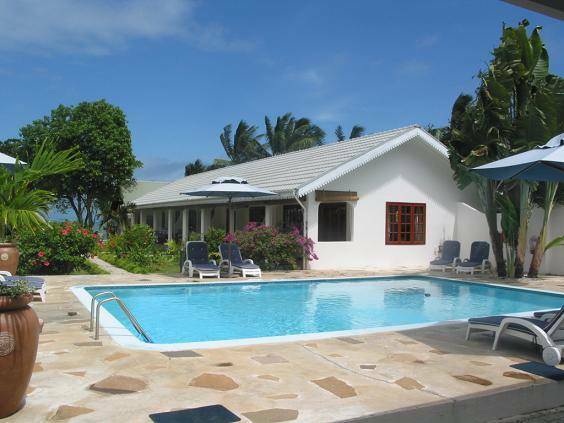 Villas de Mer is a charming little hotel located in the heart of the village of Grand Anse, south west of praslin, with direct access to the large sandy beach of Grand Anse. 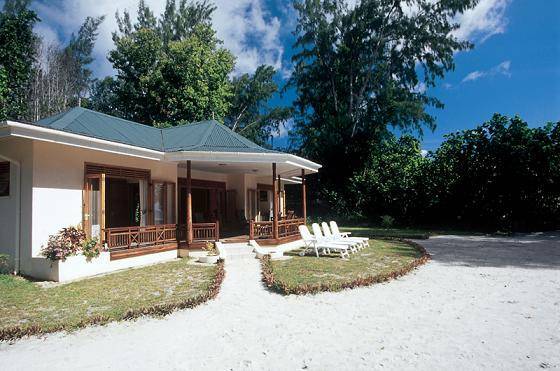 The Villa de Mer hotel is an ideal place for both families and nature lovers looking for a typically Seychellois place with a small charming structure. 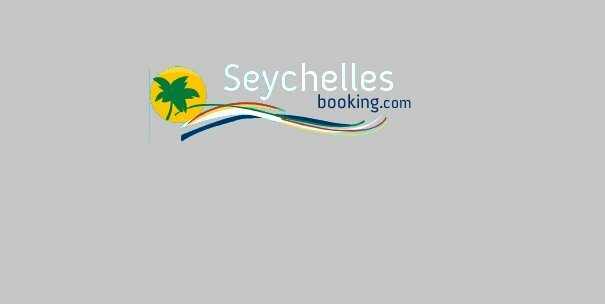 It is located 5 km from the airport and 12 km from the jetty of Baie St Anne from where arrives and leaves the boats for La Digue and Mahe. 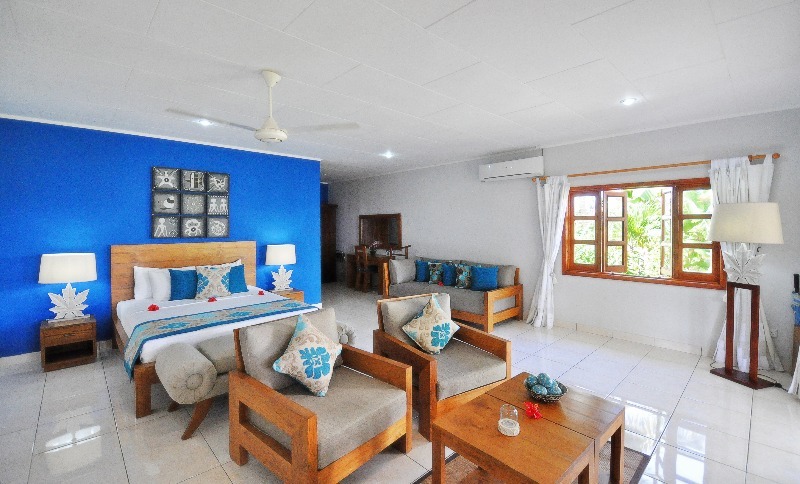 Located directly on the sandy beach of Grand Anse facing Cousin and Cousine islands, this little charming hotel will offer you an authentic Seychellois atmosphere. 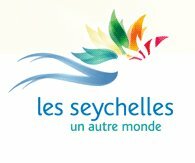 Villas de Mer is one of the charming hotels of the Seychelles islands, situated in a peaceful and quiet area at Grand Anse and you can admire one of the nicest sunset! 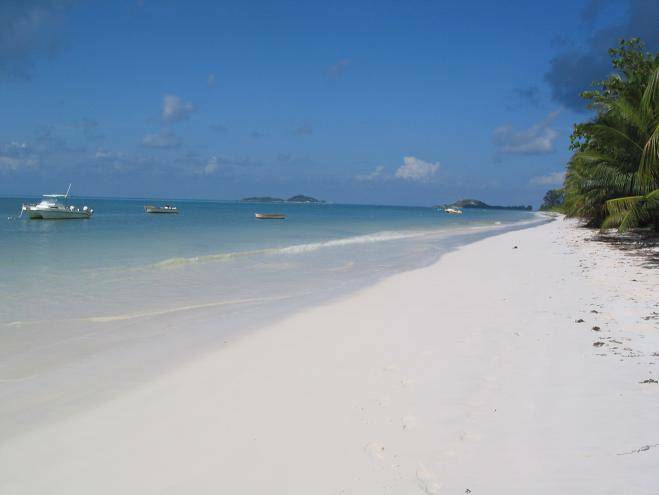 Located on the longest white sandy beach of Praslin (5km) it is recomended to choose this place between November and March.The rest of the year we highly recmmended to rent a car to enjoy the other beaches of Praslin. 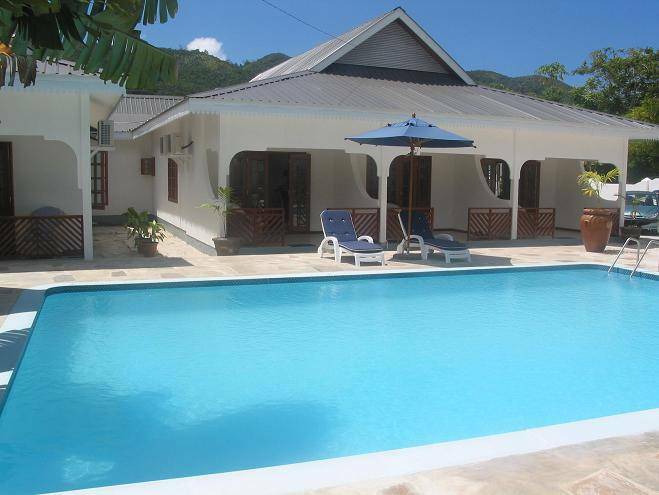 The location of Villa de Mer in the heart of Grand Anse close to shops and other hotels and restaurants is a good thing. 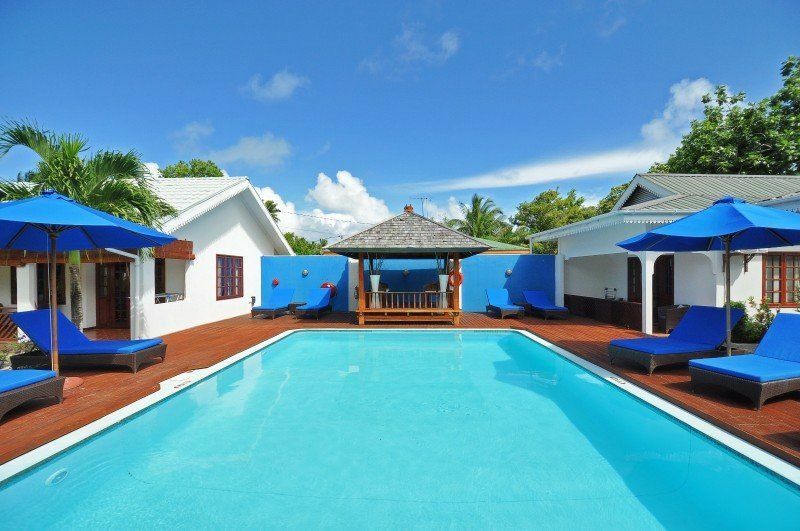 Villa de Mer offers a good quality accommodation in the form of creole style bungalows. 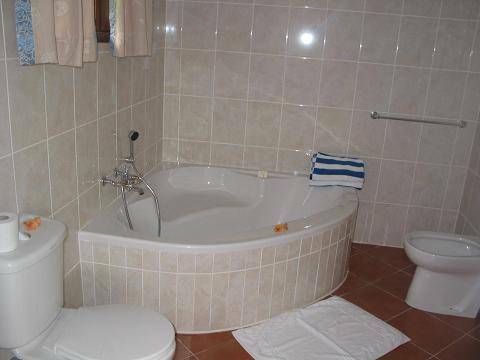 A nice swimming pool is also available to guests. 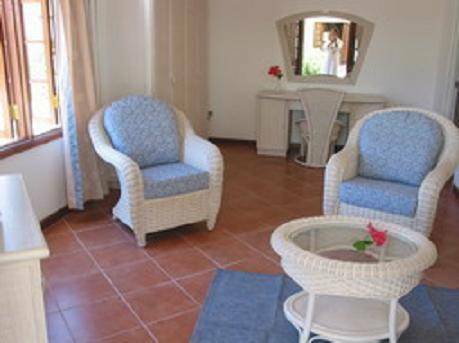 All rooms are located in a tropical garden with views of the sea and pool. 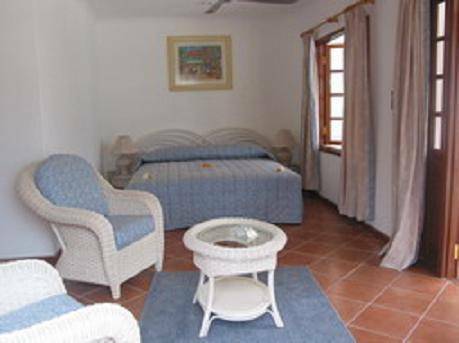 They are in cool tones, harmonious and colorful for a comfortable stay, very spacious and tastefully decorated with private terrace, they offer air conditioning and ventilator, safe, mini bar, tea and coffee facilities, hair dryer, large room Shower. 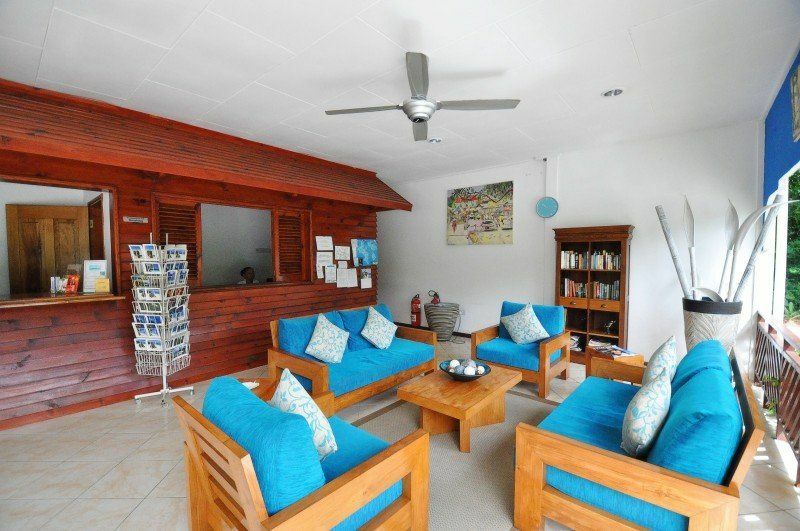 The 5 superior family room can accommodate a maximum of 3 person as there is a double bed + an extra bed for the third person.They have a nice view over the pool and the sea! they have a private terrace, air conditioning and fan, safe, minibar, tea and coffee facilities, hairdryer and a large shower room. 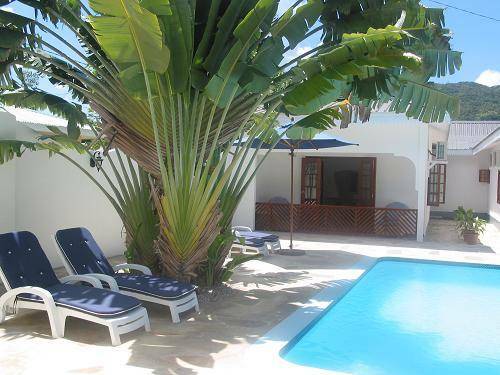 The Junior Suites are 30sqm big and can accommodate 4 adults or 2 adults and 2 children in a sofa bed.The Suites are facing the swiming pool and are air conditioned as well as fans, they also have a mini bar a safe box, and a large private bathroom. Hairdryer at your disposal. 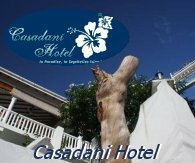 All 5 rooms are 20 sqm meters can accommodate up to 3 persons, they are located in a small tropical garden with a nice view over the pool and the sea. 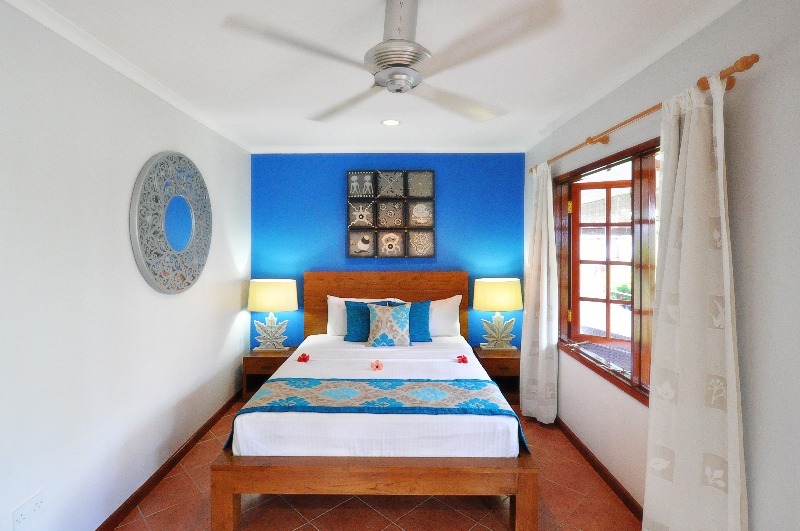 Each room designed and decorated with nice fresh colors to offer high level of Creole comfort.The superior rooms are nicely decorated and all are with a private terrace. They are equipped with air conditioned and fan, safe box, facility tea and coffee, hair dryer, and they have a large bathroom with shower. - A beautiful swimming pool dominates the center of the hotel with sun loungers to enjoy a tropical and relaxed atmosphere. 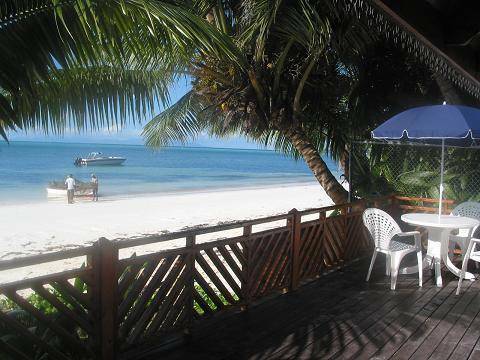 - Deep sea fishing or palangrotte fishing and excursions on the neighboring islands. - Diving: The diving centers of the island collect the guests free of charge at the Hotel. 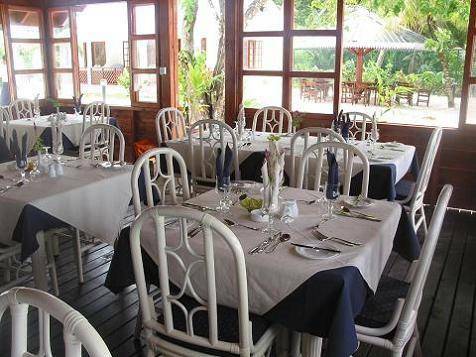 - Villas de Mer offers a Creole-style beach restaurant and offers Creole and international meals to its guests with a surprising view of the sea. 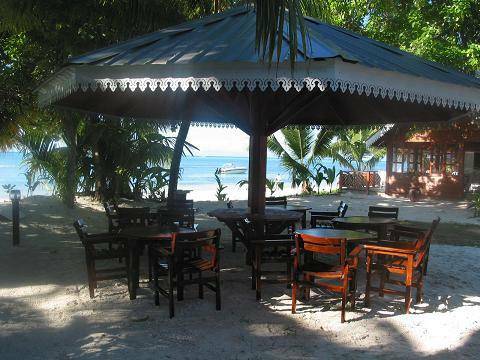 - A kiosk by the sea offers grills and salads at lunchtime (fish are freshly caught in the morning by local fishermen). FREE CANCELLATION * up to 19 days before arrival! 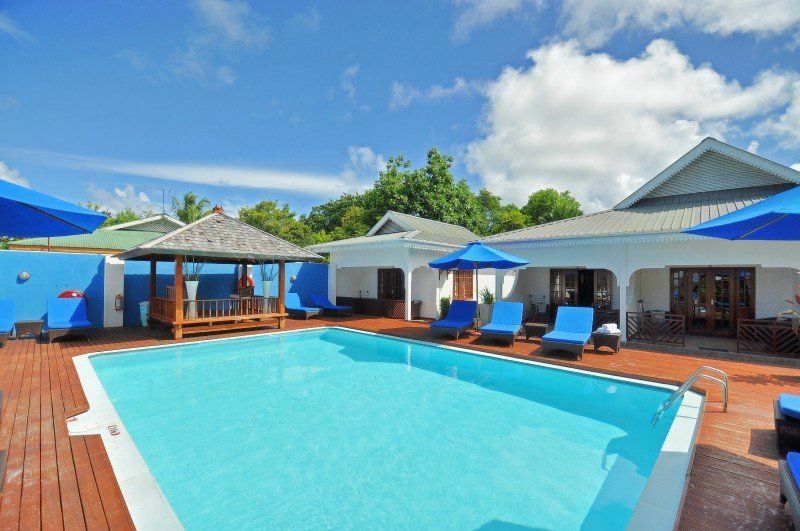 *FREE CANCELLATION * up to 19 days before arrival! 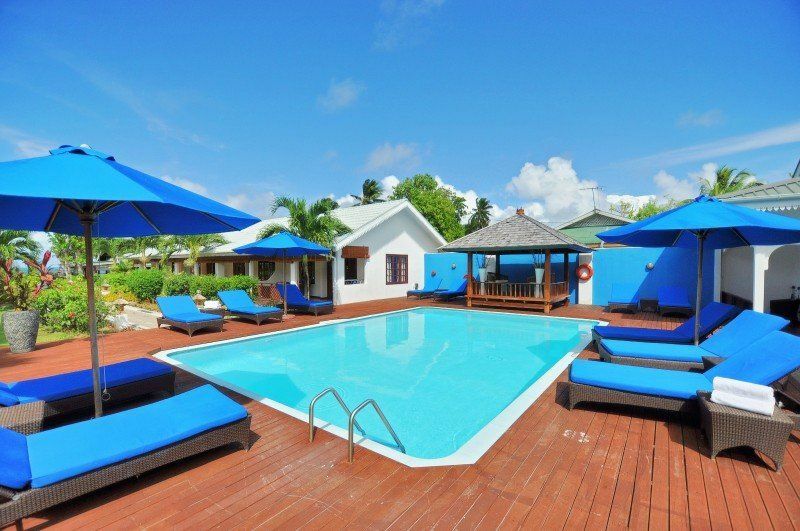 In case of cancellation fees will be billed directly by the following supplier:"Villas de Mer Hotel".